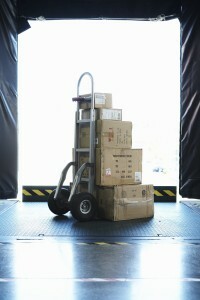 A warehouse is a central part of any supply chain, sometimes literally. It is the hub through which products flow and serves as the main point between manufacturer and customer. In this sense, a warehouse is sort of like an artery and, much like an artery, you want to keep a warehouse and distribution system operating smoothly without being bogged down or clogged up. To support businesses in this endeavour, Lean Supply Solutions offers numerous warehousing and distribution services so that our clients can stay on top of their operations with maximum efficiency. Lean Supply Solutions is a third-party logistics provider that uses the Lean Methodology to help clients by overseeing all elements of the supply chain, including providers, infrastructure, and participants. Our proven philosophy is based around eliminating any operations, equipment, or resources that are not capable of adding value to your supply chain. By ensuring the right products are provided to the right customers at the right time, we offer consistent, predictable, and quality results. To learn more about the Lean Methodology and how we can use it to help your business, give us a call at 905-482-2590.